Who doesn’t love to sparkle when it’s the holiday season? Manicures are becoming more popular than ever, so having the cutest manicure is an essential piece to your New Year’s Eve outfit. I went online searching for the cutest, sparkliest manicures I could find! Here are my favorites that I’m sure will give you some good ideas for this NYE! 1. The Reverse Manicure- This idea seems to be very popular right now and gives nails a trendier look than just your normal French manicure! I actually think this will be my next manicure to get me through the holidays. 2. The Modern French Manicure- If you are someone that just love a French manicure but maybe you would like to add some sparkle for New Years, here is a cute, subtle manicure. 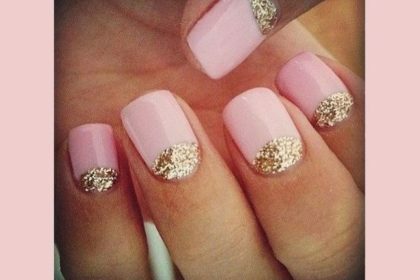 I also think adding any color of sparkle would look cute with these nails! 3. 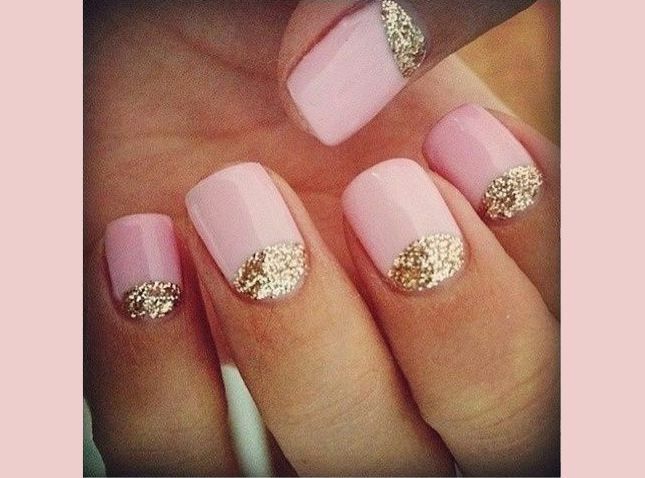 Go Sparkle or Go Home- This nail idea is so fun! If you like to be bold and make a statement, these nails are just for you! Perfect for New Years if you are getting all dressed up and going out! 4. Party Nail- This trend is where you pick a different color or design for one of your nails on eachhand, giving you a party nail! I sport this trend a lot when I want something fun but not on all my fingers! Don’t forget every cute manicure looks great paired with an Air-Tan! Call the Broad Ripple salon at 317.254.TANS or the Fishers salon at 317.576.TANS to schedule your New Year’s Eve tan! We are filling up fast!